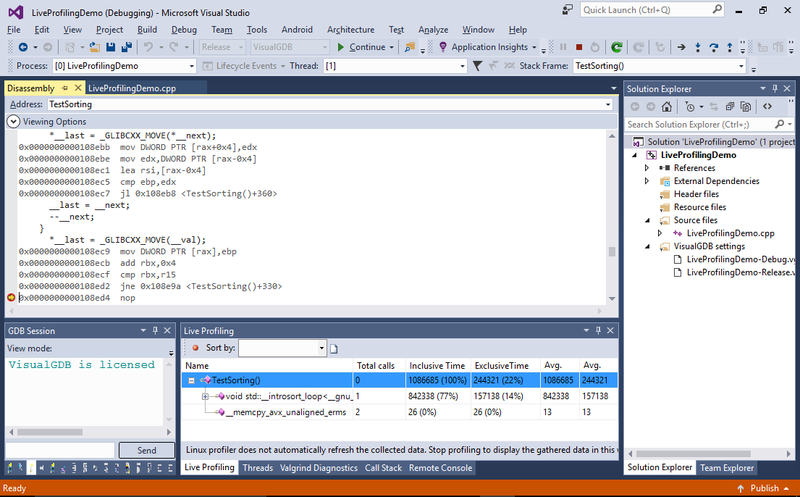 This tutorial shows how to use the Live Profiling for Linux programs to analyze the relative performance of the critical code without slowing down the entire program. 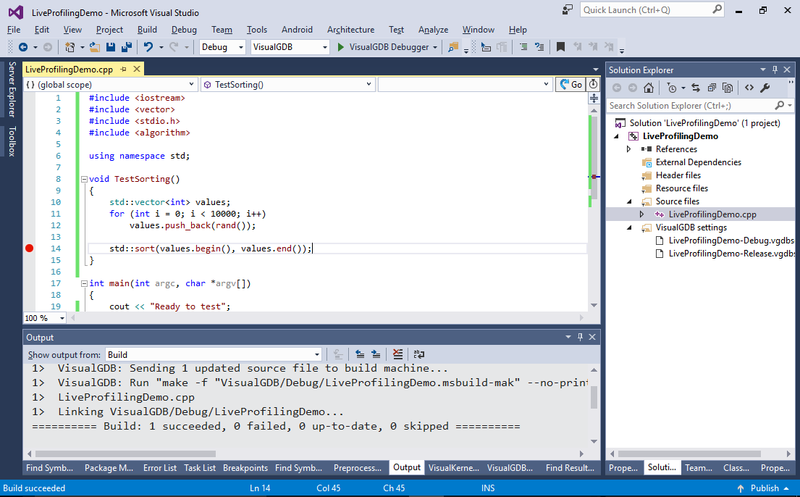 We will create a basic program that will be sorting an array of 10000 random numbers and will use Live Profiling to quickly compare different ways of doing that without profiling the entire program run. 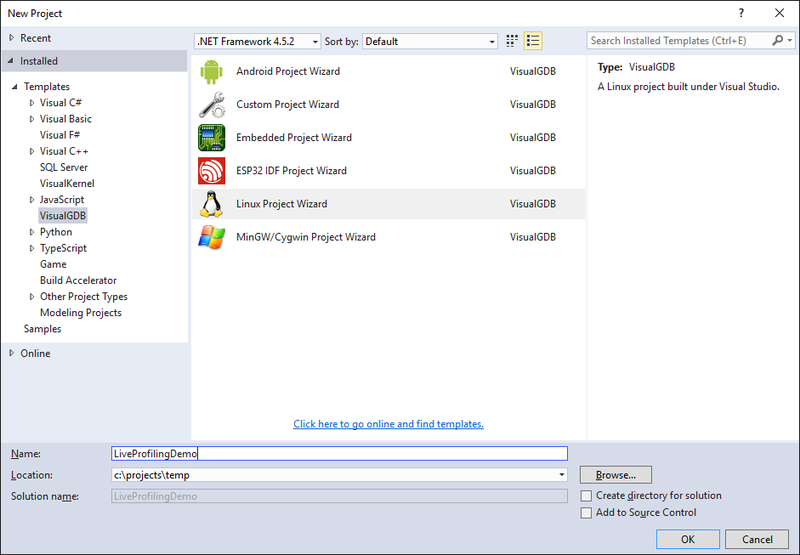 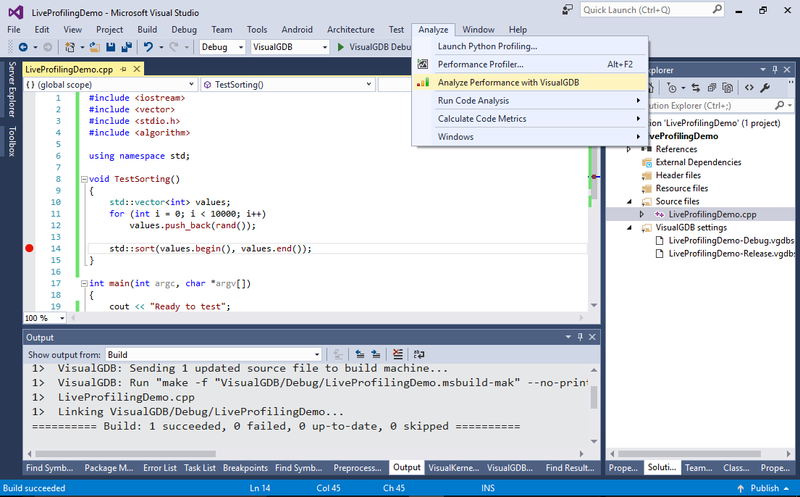 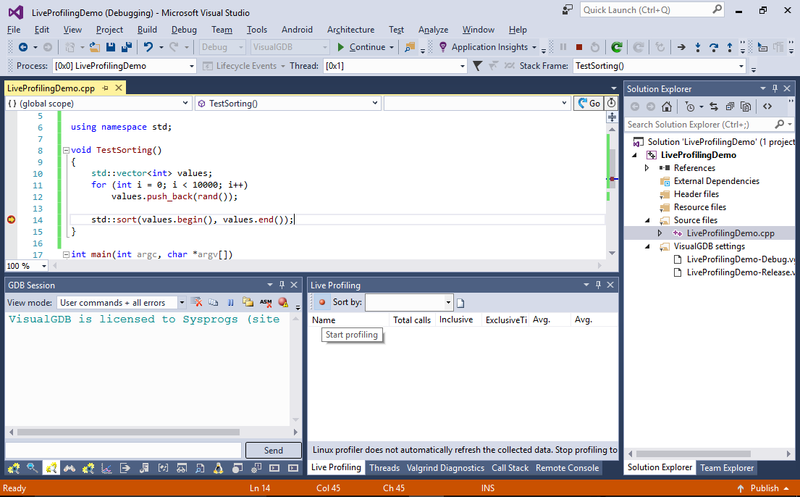 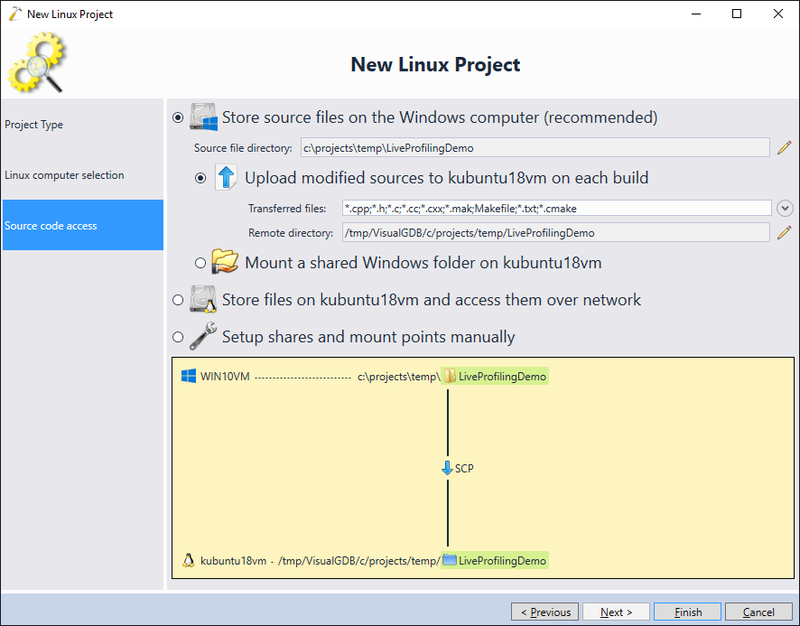 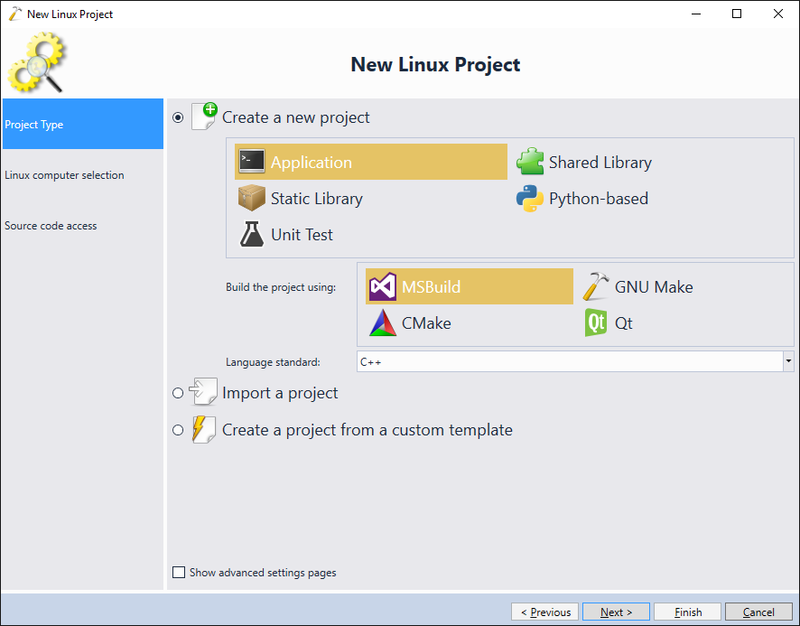 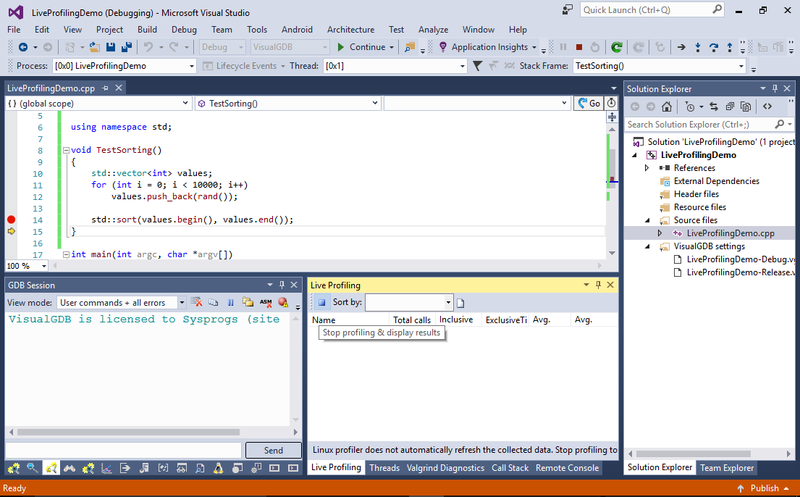 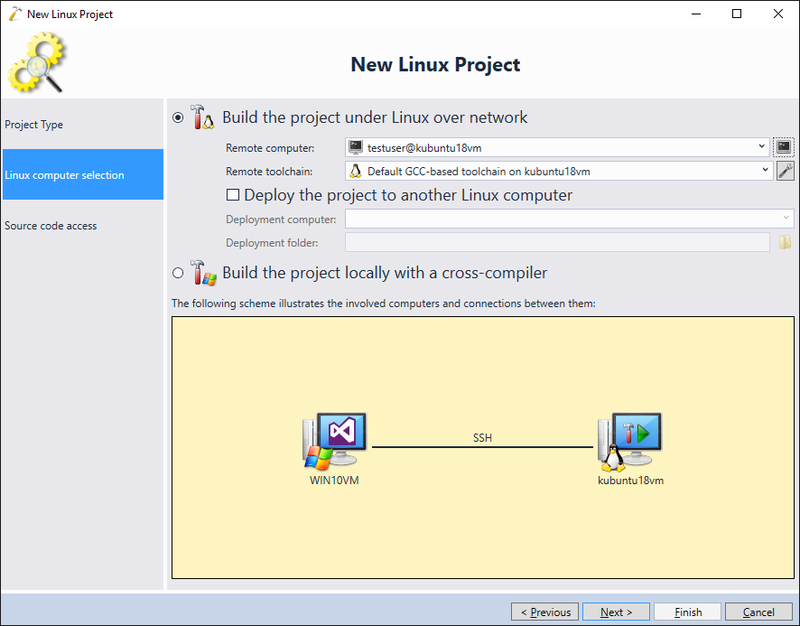 Before you begin, install Visual Studio and VisualGDB 5.3 or later. 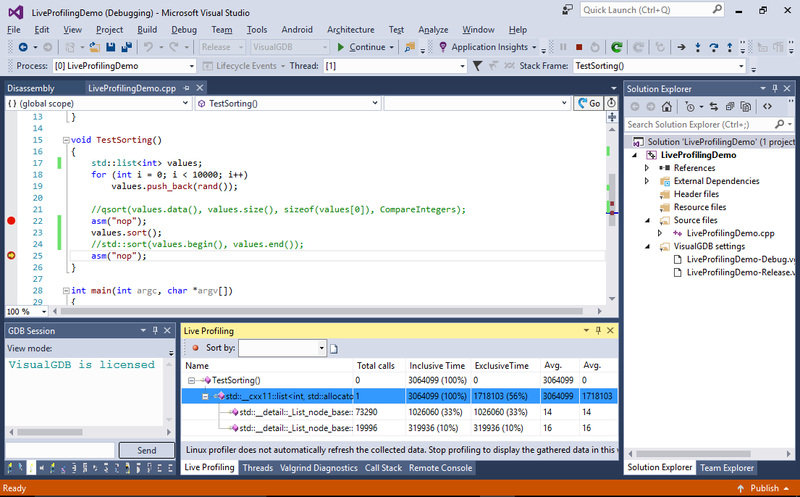 Run the live profiling again, enabling the actual profiling only for the qsort() call and observe that the sorting time is almost 3x less: Note that each run of our program will generate exactly the same pseudo-random numbers, as we are not changing the random number generator seed by calling srand(). 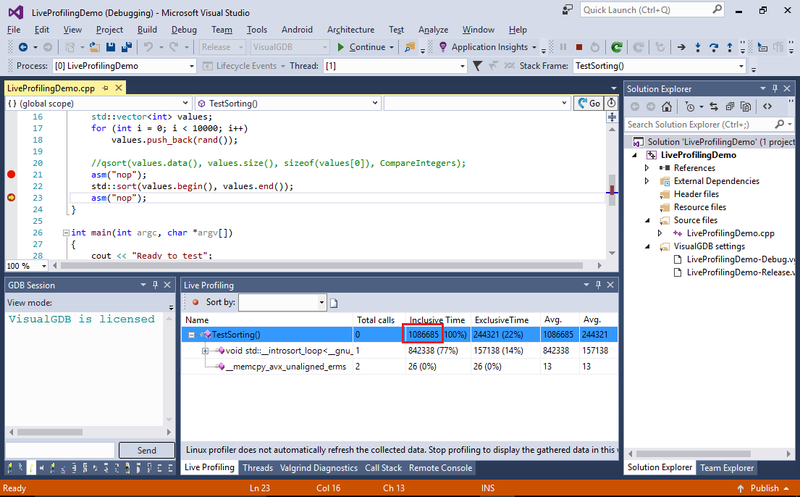 Finally try replacing the vector with a list and check whether the sorting time changes: See how the sorting time increased as updating a linked list involves more memory operations than updating a consecutive array. 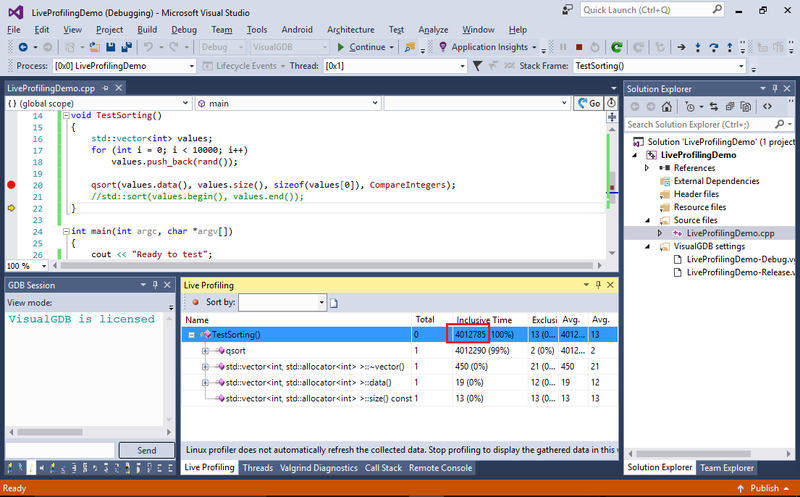 You can turn the profiling on and off multiple times during a debug session. 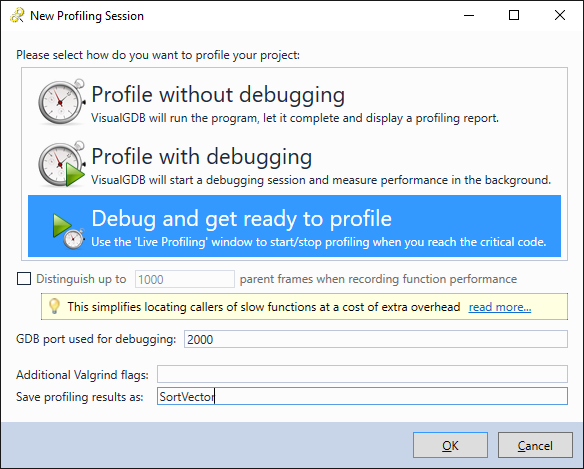 Each time you turn it on, VisualGDB will activate the valgrind profiling logic, collecting the detailed statistics about the executed code, and each time you turn it off, valgrind will be put into inactive state, reducing the slowdown of your application. You can effectively use this technique to profile critical parts of large programs without slowing down the entire program.